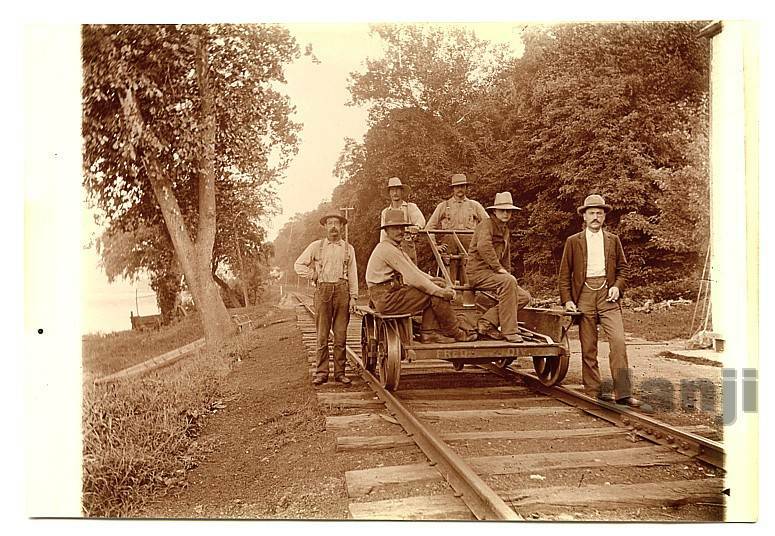 6 man track crew with railroad hand pump car. Pennsylvania origin. Circa 1900. Private collection. Glass Negative - Early 1900's. Private collection. John Bartram House and botanical garden, photograph, 1900-1910. John Bartram (March 23, 1699 – September 22, 1777). Original house, 1728-1731, The single story kitchen addition was added about 1740, and the recessed porch framed by stone columns, 1758-1770. ​The Bureau for Historic Preservation serves as the Pennsylvania State Historic Preservation Office (SHPO). Pennsylvania Historical and Museum Commission's Executive Director is designated as the State Historic Preservation Officer. The Chester County Historic Preservation Network is an affiliation of local organizations and individuals dedicated to protecting and preserving Chester County’s historic resources and landscapes through education, facilitation, and public and private advocacy. Based in Doylestown, PA, and serving Bucks and Montgomery Counties, Heritage Conservancy is committed to being the region’s premier, nationally accredited conservator. We are a community based organization dedicated to the preservation and protection of significant open spaces, natural resources, and our historic heritage. A champion of conservation best practices, Heritage Conservancy believes that everyone is responsible for stewardship and seeks to enlighten, engage, and empower others to help achieve this mutual vision. of historic and architecturally significant structures for the enjoyment and benefit of this and future generations. Historic Pittsburgh is a comprehensive collection of local resources that supports personal and scholarly research of the Western Pennsylvania area. We invite you to explore the origins and diversity of Pennsylvania and the United States, from the colonial period and the nation's founding to the experience of contemporary life. Conduct research in the online catalogs, browse our exhibits and publications, and join us in preserving and understanding our heritage as a diverse and dynamic people. ​Lehigh and Northampton counties have a wealth of historic buildings, structures, sites and districts that are found throughout the region. These resources add to the beauty and attractiveness of the region, increase understanding and appreciation of our heritage, and improve the quality of life. Many significant historical features are of value to the local economy because they are tourist attractions. Primarily through utilization of the National Main Street Center's Four-Point Approach®, PDC provides outreach, technical assistance, and educational services in order to assist communities in revitalizing their central business districts and surrounding residential neighborhoods. Over the years, we have formed a variety of strategic partnerships with local and statewide organizations in order to further our mission of promoting community revitalization and reinvestment. Additionally, our centralized Harrisburg location allows us to interact regularly with members of the PA Legislature in order to advocate on behalf of downtown and neighborhood initiatives in the commonwealth. The Pennsylvania Historical and Museum Commission (PHMC) is the official history agency of the Commonwealth of Pennsylvania. Created in 1945, we are responsible for the collection, conservation, and interpretation of Pennsylvania's historic heritage, which we accomplish through the Pennsylvania State Archives, the State Museum of Pennsylvania, the Bureau of Historic Sites and Museums, the Pennsylvania Trails of History, the Bureau for Historic Preservation, and the Bureau of Management Services. In 2008, the Pennsylvania Department of Transportation (PennDOT) and Preservation Pennsylvania partnered to create ProjectPATH. The new program aims to improve the agency’s approach to seeking consulting parties and to encourage public participation in transportation projects. Through the ProjectPATH program, interested individuals are able to access online all new Section 106 documentation for projects programmed on the State Transportation Improvement Program (STIP). Tri-County Regional Planning Commission was formed in 1966 as a forum for information sharing, consensus building and coordination to resolve regional issues facing the 103 municipalities of Cumberland, Dauphin and Perry counties. Today, we continue to work toward resolving regional issues. Our mission is to foster the long-term livability and vitality of our communities, counties and region. The Adams County Historical Society has often been referred to affectionately as the "county's attic"—an archive and museum preserving the rich cultural heritage of Adams County, Pennsylvania. Our mission is to "foster interest in the history of Adams County and vicinity, conduct research, preserve records and objects, mark sites, and pursue such activities as may be related to the history of the community." ​EAST BERLIN is an historic town located in Adams County, Pennsylvania. The main street was placed on the national register of Historic Place in recognition of its many early buildings. East Berlin Historical Preservation Society was organized in 1975 in an effort to preserve the unique heritage of the town and is responsible for the following historic buildings: Red Men's Hall, Church / School House, Log House, Swigart's Mill, [and] Liberty #1 Engine. HGAC is a non-profit organization formed in 1975 to spearhead and coordinate efforts to preserve and restore the historic heritage of Adams County's townships and boroughs. "To foster and participate in the preservation, interpretation and welfare of the historic, architectural, scenic and culturally significant areas, districts, sites, structures, objects, and activities, and townscapes of the Borough of Gettysburg and Adams County, the Gettysburg National Cemetery and the Eisenhower National Historic Site, and to encourage their appreciation by the general public." ​Historic preservation can be a key to achieving social, cultural, and economic renewal.In all that we do, the Pittsburgh History & Landmarks Foundation is anchored by its mission: to identify, save, and use significant places in the Pittsburgh region that are 50 years old or more as the key to renewing communities and building pride among the people who live there. This is a guiding principle that has been the basis of our engagement in various areas ranging from urban neighborhoods to suburban, and rural communities. The Berks County Planning Commission is in the process of creating a comprehensive historical resources inventory for Berks County. The current inventory can be viewed through an online interactive web map. ​The Historic Preservation Officer administers the Historic District Ordinance and assists citizens through the Historical Architectural Review Board (HARB) process. The Preservation Officer is responsible for enforcing the pokiesaustralian.com Historic District Ordinance, providing technical and administrative assistance to the HARB, issuing Certificates of Appropriateness, and administers the City's Façade Improvement Program. A variety of City departments rely on the Preservation Officer for technical assistance when undertaking projects involving Reading's historical structures, that could include review by the Pennsylvania Historical and Museum Commission. The epic saga of Blair County, Pennsylvania is the tale of everyday people like you who were profoundly shaped by the powerful forces of community, nature, war, business, family, hate, and love. From Tyrone to Claysburg, local and national history was made by seemingly ordinary farmers, railroaders, doctors, lawyers, and teachers. The Blair County History Center at Baker Mansion seeks to interpret these common but extraordinary elements of our society through special events as well as exciting and thematic museum displays. The story of Blair County is the story of America itself. The Hollidaysburg Community Partnership will attract and retain merchants, residents and tourists by capitalizing on Hollidaysburg’s many, varied existing businesses, its status as the seat of Blair County, its commitment to historic preservation and rehabilitation, its outdoor recreation and entertainment amenities, its proximity to numerous colleges and universities, its location in the midst of major transportation routes, and its overall economic potential as a desirable address to do business. The Hollidaysburg Community Partnership will support this effort with a strong, volunteer-driven organization that coordinates communication among various organizations and businesses and has a constant presence in the community through events, streetscape improvement projects and business retention and recruitment programs. ​​The Mauch Chunk Historical Society of Jim Thorpe, PA preserves and interprets our region's history by providing a focal point for culture, entertainment and the arts in our community to enrich the lives of current and future generations of residents and visitors. WELCOME to the Centre County Historical Society! CCHS is the oldest and largest of the county's historical organizations and has celebrated the rich heritage of Centre County for over 100 years. The Centre County Historical Society is headquartered at the Centre Furnace Mansion, and is listed on the National Register of Historic Places. The Mansion and iron furnace stack represent the beginnings of the area's charcoal iron industry, and the birthplace of the Pennsylvania State University. Preservation of historic structures and districts in Bellefonte has been seen for nearly 3 decades as the key to future economic viability. There is no other town with Bellefonte’s unique history and collection of historically significant buildings. The heritage expressed in wood, iron and stone is a resource that no other Centre County municipality has. Historic preservation is about using the past to teach and guide the future. It is about saving and reusing buildings for present-day activities. The buildings located in Bellefonte Borough span two centuries of our town’s history, offering unique opportunities for property owners. The preservation of the historic character of Chester County is a well-appreciated and widely supported effort. For old and new residents alike, the charm and beauty of our historic landscapes and streetscapes is a source of pride. But, the preservation of our resources, above and below ground, is an everyday effort across the county. Of the tens of thousands of historic resources countywide, few are not at risk. Risks, of course, vary from the potential loss of the historic context of a resource, to the loss of a resource’s integrity, and to the loss of the resource itself—demolition being an irrevocable proposition. CCHS administers the Chester County Archives in cooperation with the County of Chester. The County Archives, which houses the historic government records of Chester County, is located in the Government Services Center on Westtown Road. ​West Chester Downtown Foundation is a nonprofit organization that promotes community interest in the vitality, culture and liveability of downtown West Chester through education, historic preservation and collaboration. Historic Harrisburg Association advocates for the preservation, restoration and stewardship of Harrisburg’s architectural heritage. The Historical Society of Erie County has opened the brand new History Center in Erie's nationally recognized West Sixth Street Historic District! Experience our rich history with the multi-million dollar Hagen History Center. The mission of Preservation Erie is to promote, preserve, and enhance the distinctive character of greater Erie through community-based planning, design, and historic preservation. ​The Lackawanna Heritage Valley National and State Heritage Area is a partnership of government, business, civic organizations, and individuals dedicated to the development of the region’s historic, cultural, economic, and natural resources through preservation, education, and promotion of our heritage. LHV is managed by the Lackawanna Heritage Valley Authority (LHVA). In 2009, Heritage Valley Partners Inc. was created as LHV’s non-profit partner to support development efforts and to increase public awareness of the mission and goals of Lackawanna Heritage Valley. The mission of the LHS is to collect, preserve and interpret the artifacts, archives and bibliographic materials of the social, cultural and economic history of Lackawanna County and northeastern Pennsylvania. The Society's specific responsibilities include: fostering the knowledge and appreciation of the history and culture of Lackawanna County and associated areas through educational programs, public accessibility to library materials and the artifact/archive collections, and alliances with like-minded organizations. ​To advocate and promote awareness and preservation of Northeast Pennsylvania's architectural heritage. ​...we work with a board base on constituencies to identify and protect historically significant structures in the 60 municipalities that make up Lancaster County. Our work begins with research to identify historic properties. We have thousands documented and in our library. We then strive to educate the general public, community leaders and government officials about the importance of preserving historic structures. Municipal ordinances are more times than not our best defense against needless demolition. Timely communications is essential for positive preservation outcomes. The Lehigh County Historical Society is one of the largest historical societies in America. Our new 30,000 square foot headquarters museum The Lehigh Valley Heritage Museum is a state-of-the-art climate-controlled facility that houses one of the finest historical research libraries in the state of Pennsylvania. The HeritageMuseum includes 6 galleries with more than 13,000 square feet of exhibits. ​The League was founded in 1991 as a 501(c)3 non-profit by a group of citizens dedicated to focusing attention on the architectural heritage of the City of Allentown. In 2006 we moved our organization to its current location, the second floor of Sam Traylor's Motor Garage (which supported the Traylor Hotel) located at 15th and Walnut Streets in Allentown that we lovingly refer to as "The Warehouse". It is our goal that by recirculating salvaged architectural items within the community we will both foster a city-wide conversation on preservation/restoration and help reduce the environmental impact of the built environment on the natural environment. ​The mission of the OAPA is to preserve and foster pride in our neighborhood through communication, education, and social interaction. Our goal is to promote urban living, diversity, and Allentown's architectural legacy and heritage. The [Historic District] Ordinance was adopted to preserve the historic and architectural character of the exterior facades of structures in the historic districts. The ordinance does not require the restoration of homes to their original appearance, although many owners have chosen to do so. Rather, the ordinance requires that any exterior changes made to properties within the districts that can be seen from the public right-of-way be done in a manner that is in keeping with the architectural and historic character of the building and the district. The Lycoming County Department of Planning & Community Development is updating the County’s historic Preservation Plan, last completed in 1974. The update, the Lycoming County Heritage Plan, will identify historic resources in the county. A historic resource can be any building, site, structure, or district over 50 years old that is associated with a distinct architectural style, event, architect, and/or person or is an important local connection to the past. The Thomas T. Taber Museum of the Lycoming County Historical Society chronicles the history of our region from American Indian occupation through 20th century industry and life. The museum also includes a local history and genealogy research library. Preservation Williamsport is dedicated to preserving and protecting Williamsport’s architectural heritage. ...the museum captures “windows of time” in displays of the history of McKean County, its towns, life style, and genealogy of its people. The museum also provides a wealth of information about the famous Civil War Buctail Regiment that was mustered in front of the 2nd McKean County Courthouse, details from the “Oil Boom Days”, records of cemeteries in the county, and microfilm copies of The McKean County Miner newspaper that was printed in Smethport. Additional old photos, artifacts, lectures, and demonstrations bring the area’s history alive. The function of the Smethport Property Registry Commission is to evaluate applications for the Smethport Historic Property Registry Listing based on the individual historic or architectural merits of each property application on behalf of the Borough Council. Mifflin County has played an important role in the industrial history of Pennsylvania as the center of transportation networks including the Juniata River Canal, the Pennsylvania Railroad, and the Pennsylvania Turnpike. The Planning and Development Department plays an important role in identifying historic resources, researching funding opportunities for preservation projects, and managing restoration and preservation grant projects for Mifflin County. 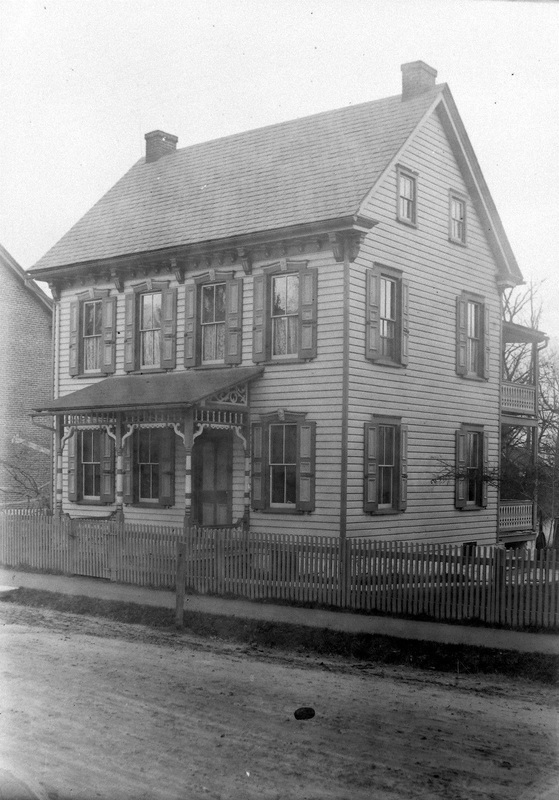 ﻿The Mifflin County Historical Society, founded in 1921, had become known as "Frysinger' s Dream". The founder George R. Frysinger had served as a Civil War editor of the Lewistown Gazette and ended his years of affiliation with the Society as the President Emeritus. The Constitution of the Society states: "exists to record and preserve our history and to relate to present day events and places, that coming generations will cherish and protect this heritage from the past and its people". ﻿Over the course of the twentieth century, the Society's collection now includes family genealogy files, early deeds, tax records, maps, census records, photographs, scrapbooks, newspapers and more. In our collection vaults, we hold valuable objects from furniture, paintings, inventions, scientific instruments, and textiles. To conduct a survey of buildings, structures, objects and monuments for the purpose of determining those of historic and/or architectural significance and pertinent facts about them; acting in coordination with the Municipality of Norristown Planning Commission, Zoning Hearing Board and the Norristown Preservation Society and to maintain and periodically revise the detailed listings (resource inventories) of historic resources and data about them, appropriately classified with respect to national, state and local significance in accordance or consistent with the Pennsylvania Historical and Museum Commission's "Cultural Resource Management in Pennsylvania: Guidelines for Historic Resource Surveys." ​The Upper Dublin Historical Commission seeks to foster awareness and appreciation of our community’s history, encourage the preservation of local resources, and offer information and assistance to residents and owners of commercial and residential properties. There are three historic districts in the City of Bethlehem where a Certificate of Appropriateness is required prior to issuance of a building permit where the work is visible from the public right of way. These districts include areas of the central business districts found on each side of the Lehigh River and the Mount Airy Neighborhood in West Bethlehem. North of the Lehigh River, the Historic and Architectural Review Board (HARB) reviews all exterior changes proposed to buildings in the Bethlehem Historic District. (See map [PDF] )The Design Guidelines for this district are also available online. The City has an appointed Historic and Architectural Review Board (HARB) in accordance with the State Historic District Act of June 13, 1961, which enables the designation of Historic Districts in Pennsylvania. The City has an official Historic District which is "overlaid" on the Zoning District map. The HARB reviews all exterior building changes, additions, new construction, demolition, and signs within the designated Historic District. All plans for construction and renovation within the Historic District must be reviewed by the HARB and awarded a Certificate of Appropriateness or awarded an exemption by the City Council. The Board does not regulate the repainting or color of buildings as long as no other construction is planned. ​The mission of the Fairmount Park Historic Preservation Trust, a nonprofit organization, is to provide leadership, technical assistance, and advocacy to preserve, develop, and manage historic properties and other cultural resources in Philadelphia's Fairmount Park. ​Hidden City Philadelphia inspires people to be curious about the city, to fall in love with its remarkable but lesser-known places, and to give their time, resources, and ideas to realize new futures for the places and communities where we work. Protecting historic properties through advocacy is the primary mission of the Preservation Alliance. ​CCRA is a non-profit, volunteer-led organization devoted to making Center City a better place to live, work and play. Our members volunteer thousands of man-hours each year to a wide range of projects that help preserve and improve the quality of life in Center City for the benefit of residents, local merchants and visitors. The Philadelphia Historic Preservation Corporation preserves and protects the many buildings and other resources in this historic city. In all that we do, the Pittsburgh History & Landmarks Foundation is anchored by its mission: to identify, save, and use significant places in the Pittsburgh region that are 50 years old or more as the key to renewing communities and building pride among the people who live there. This is a guiding principle that has been the basis of our engagement in various areas ranging from urban neighborhoods to suburban, and rural communities. The Historic Review Commission (HRC) protects and maintains historically and architecturally significant buildings and neighborhoods in the City. The HRC is comprised of seven members appointed by the Mayor which must include an architect, a preservationist, a realtor, a building inspector, and a planner. When a building is designated as an historic landmark, the Historic Review Commission has jurisdiction over all proposed new construction, demolition, and exterior work to the building. The review process begins only when an owner decides to do work to the exterior of their building. For more information on designating structures in your neighborhood as historic landmarks, call (412) 255-2243. The Historic Preservation Trust of Pike County, Inc.
​ The Trust has 2 primary functions. First and foremost, we are a service organization carrying out projects throughout the county to preserve our historic sites and structures. Secondly, we are an advocacy organization. We do this by providing information, education, and promoting historic preservation. Members of the Trust come from a broad cross-section of area citizens including residents, local business people and professionals all of whom share a common concern for the maintenance and preservation of our well designed villages and notable architecture. To maintain and perpetuate the historical legacy of Pike County, a mission achieved through preservation, leadership, and education. The society acquires, preserves and protects the historic sites and records which pertain to the heritage and culture of the county. Further, it provides active leadership in the areas of historic preservation, historical and cultural education, and community initiatives and endeavors. Finally the organization offers a wide range of programs and educational opportunities which foster an appreciation of the culture, heritage and culture of Pike County. ​Founded in 1997, the Milford Enhancement Committee (MEC) is comprised of volunteers who work to make the Pike County, PA seat a better place to live, visit and do business. The results are seen in new sidewalks, curbing, landscaping and historic-style pedestrian lighting throughout much of Milford’s commercial district. The MEC’s work has been funded by more than 1,000 individuals in the greater Pike County area as well as state and local grants. No local tax dollars are spent on MEC improvement projects. The Historic Preservation Trust of Pike County is the MEC’s 501 © (3) sponsor; contributions are tax-deductible. Potter County’s historical resources include historical buildings, historical landscapes, and locations of historical events. These resources are a portal to the past to be enjoyed and studied by current and future residents of the county. More importantly, county and local officials have recognized the importance of this history, which is evidenced by the number of organizations established to promote and protect these resources, which includes the Potter County Historical Society, the Oswayo Valley Historical Society, and the Austin Dam Memorial Association. The historical society seeks to preserve the heritage of Potter County. They host many educational activities each year. ﻿​Coudersport, County seat, Planning Dept?